H&M Hennes & Mauritz AB is a Sweden-based company engaged in the clothing retail industry. 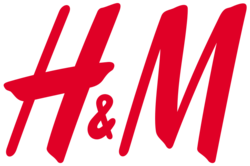 H&M is a designer, producer and retailer of clothing items and related accessories. It also sells cosmetics under its own brand. The company has stores all over the world. It headquarter is based in Stockholm.